! In case of late arrival we provide night excursion without museums entry. Breakfast at the hotel. Check-out. Trip to Lenkoran. We continue our tour and will stop in the town of Masalli. Masalli is famous for its hot springs and medicinal baths based on them. Guests will have the opportunity to visit the sprins on the territory of the sanatorium Istisu, visit the spring - Yanar Bulag (fiery power), Vilyash Lake and famous Yardimli waterfalls. 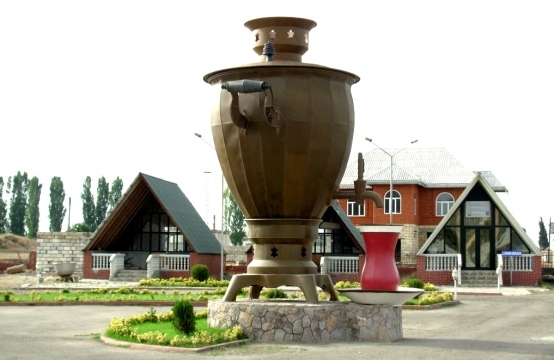 In the morning we will start a city tour and visit important historical sites of these places - Kichik Gala; Khan Evi (Khan Palace); Ballabyur fortress and a monument to the twice Hero of the Soviet Union, a legendary commander of a tank division Hazi Aslanov.